Workplace One Training Courses can help your business and employees gain new skills to improve your business. We offer a wide range of topics that our trainers can deliver in-house. Our trainers are passionate, highly skilled educators, and practicing subject matter experts who stay on top of developments in the industry. This ensures our clients always have access to the most up-to date training available. Workplace One is a leader in training hosting over five hundred client training sessions on various standards and customized programs. We have designed over 500 customized training programs for our clients and have trained over 10,000 client employees since 1993. We are happy to customize our workshops or a combination of our workshops to build a course that is tailored to meet your specific needs. What Can I Expect From Workplace One? Based on current adult learning principles, our approach uses proven, highly interactive participatory sessions and practical techniques that offer real behavioral change that can be implemented and applied immediately in the workplace. We have always been firm believers in an interactive and engaging instructing style – an evolutionary step beyond traditional lecturing. From theory, to strategy, to proven practical tools, we deliver our training with solutions that prepare participants for real-world situations. In addition, Workplace One employs a variety of learning tools that are utilized in every seminar we deliver. Self-assessment tools, instruments, videos, role-plays, breakout sessions, group discussions and other stimulating adult learning methodologies compliment our seminar material and promote better retention of seminar content. We will ensure that your program is scheduled at the most convenient time and place for you and your team. 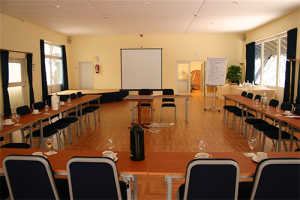 The choice of location and workshop hours is flexible and within your control. Workplace One has organized thousands of workshops so we can help you expertly plan a successful, worry-free program. After the training we contact you to discuss the results of your training to ensure you are completely satisfied. We will strive to ensure the cost of the training program and the expenses for our instructor to travel to your location are economical and cost-effective. Ready to get started? Contact us today to learn more about in house training courses from Workplace One.